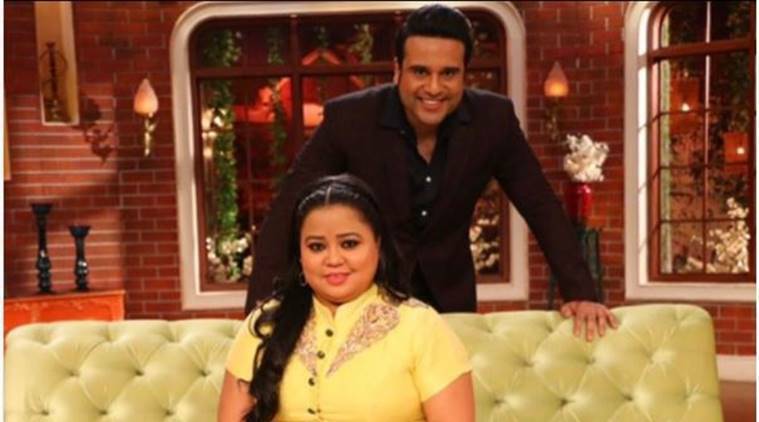 After doing various stand-up and reality shows, Krushna Abhishek and Bharti Singh are planning to produce a one-of-a-kind comedy show. Comedienne Bharti Singh revealed her husband Harssh Lambachiya is working on the new show. Every time Bharti Singh and Krushna Abhishek come together on screen, a laugh riot is guaranteed. After doing various stand-up and reality shows, the duo is planning to produce a one-of-a-kind comedy show. “Working with Krushna is always fun as we have a great understanding. Even if I miss a punch, he takes charge and bacha leta hai (saves me). If everything goes well, you will soon hear good news from me. But mind it, not pregnancy but announcement of our show,” added Bharti. What’s your take on Bharti and Krushna’s collaboration? Let us know in the comment box below. 2 Kareena Kapoor Khan to perform at Miss India 2018 finale?